How much time do you spend outside? Have you ever thought about studying in the shade of a tree or reading a book on a blanket in the sun? 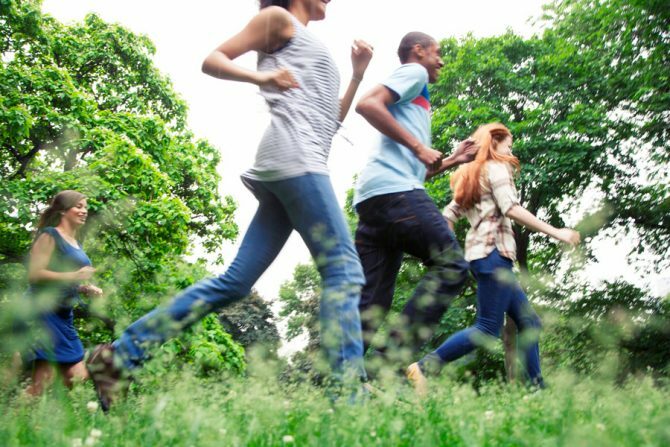 According to research by the National Wildlife Federation, spending more time outside can have far-reaching benefits for your mind, body, and spirit. It raises levels of vitamin D (which can help prevent future bone problems), improves distance vision, and decreases stress. Being outside earlier in the day can help you fall asleep more easily at night. It can also strengthen your immune system. Check out the library's event calendar, Greene County Parks & Trails, and the books below for some ideas of things to do outside!